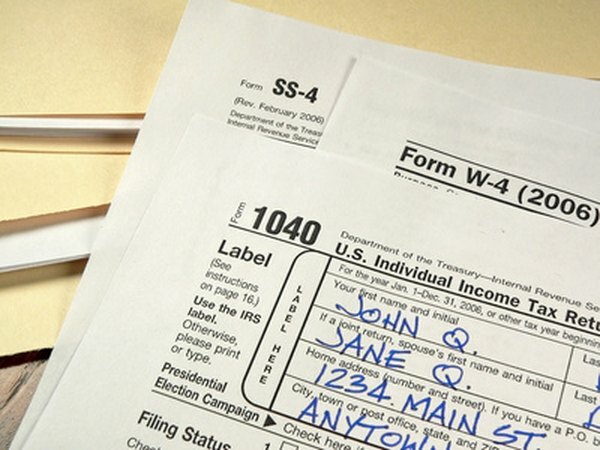 You can use Form 1040 or 1040A to report your IRA withdrawals. 1. Is IRA Income Reported in AGI? Different individual retirement accounts offer either tax-deferred or after-tax savings for retirement. The taxes and potential penalties you incur when you take money out depends on when you take the withdrawal and the type of IRA you're withdrawing from. However, you always have to report them on your taxes. Qualified Roth IRAs are fully tax-free and go on line 15a of Form 1040 or line 11a of Form 1040A. To take a qualified Roth IRA distribution, you must wait at least five years from Jan. 1 of the first year you made your contributions. In addition, you must be either 59 1/2 years old, permanently disabled or taking out up to $10,000 for a first house. If you don't satisfy the requirements for a qualified Roth IRA distribution, the reporting requirements change. You'll still get your contributions out tax-free, but any earnings you take out will be taxable and hit with a 10 percent early withdrawal penalty. First, fill out Form 8606 to figure how much, if any, is taxable. If any is taxable, file Form 5329 to figure the early withdrawal penalty. Last, report the total withdrawal on line 15a and the taxable portion on line 15b of Form 1040. Qualified traditional IRAs occur when you take the money out after turning 59 1/2 years old. Unless you've made nondeductible contributions, you simply report the amount of the distribution on line 15b of Form 1040 of line 11b of Form 1040A. If you have made nondeductible contributions, first fill out Form 8606 to figure the taxable portion of the distribution. Then, report the total distribution on line 15a of Form 1040 or line 11a of Form 1040A and the taxable portion on either line 15b of Form 1040 or line 11b of Form 1040A. If you're under 59 1/2 when you take a traditional IRA withdrawal, most of the tax reporting is the same as when you take a qualified withdrawal. This includes filing Form 8606 if you've made nondeductible contributions to the account. The only change is that you must also file Form 5329 to figure your early withdrawal penalty.